If you’ve been wasting your time with traditional exercise routines that produce little to no results it’s time to start MRT Training. I’m not really sure how the trend started, but somewhere along the way we’ve been steered in the completely wrong direction for fat loss training. The fact is long (BORING) steady-state cardiovascular exercise (jogging, biking, elliptical trainers, etc.) is NOT an effective method for long-term FAT loss. Another study in Obesity (15:1496-1512, 2007) reports that after logging 300 hours of cardiovascular exercise (one hour each day, 6 days per week) over the course of one year, women only lost 2 kg and men lost 3. That means that for every 50 hours of cardio, you lose less than ½ kg of weight! In addition, the constant repetitive movements and potential pounding your body goes through with continuous cardio, places a tremendous amount of stress on your joints and connective tissues. Excessive cardio can also impair the production of the thyroid hormone—the preeminent regulator of metabolism. Finally, too much cardio can cause muscle loss, thus slowing your metabolism, decreasing your bone density, and lowering your overall level of health. When you put all that together, I suggest you re-think making cardio your primary source of training for fat loss… I’m not saying some cardio isn’t good for you. In moderation, cardio can be a great addition to your fitness program. Just don’t make it the main feature if sculpting a lean, fit & trim body is your goal. “So, What’s the Right Way to Exercise For Long-Lasting Weight Loss? If you’re serious about losing weight and even burning fat while you sleep, then high metabolic resistance training is the way to go. Metabolic Resistance Training (MRT) is a form of High Intensity Interval Training (HIIT) we use in Fit HIIT that involves total body, resistance-based exercises done in quick succession with little or no rest between. HIIT protocols use a variety of work to rest ratios performed for multiple rounds. Typical workouts last 10-30 minutes (not including warm-up and cool-down). What really makes this kind of training perfect for fat burning are the short rests and alternating, non-competing exercises. Alternating sets allows you to work different areas of your body when you would otherwise be resting with the straight set format. Plus, by working another area of your body with a non-competing exercise you allow your body to recover from the previous exercise(s). 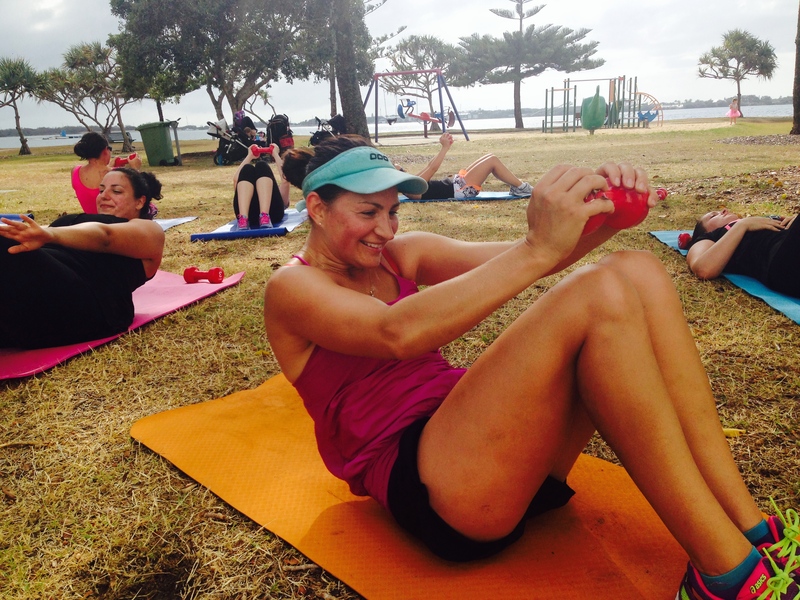 The result is more work accomplished in less time – the perfect fat loss program for busy mums! The result is a metabolism that is supercharged so that it keeps burning fat even after you have stopped exercising. Plus, you get a built-in heart healthy cardiovascular workout! Steven Boutcher, a scientist at the University of South Wales, did a study on high intensity interval training, and found that more fat is lost during shorter, maximum intensity intervals than during slower and longer workout periods. The first group exercised three times each week for twenty minutes. Their high intensity workouts consisted of intervals with eight seconds of max effort and twelve seconds of recovery. The second group also exercised three times each week, but for forty minutes, and the intensity was steadier. The results? 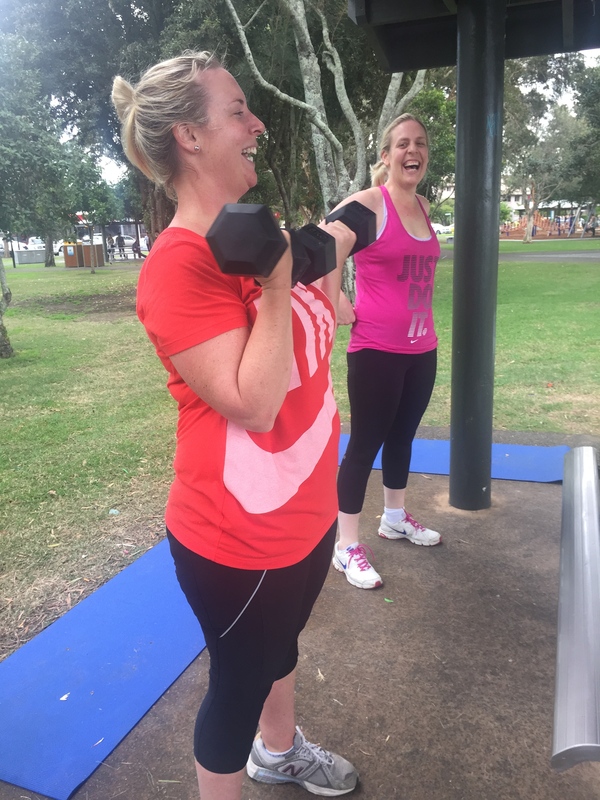 In spite of the second group’s longer exercise periods, the first group saw a higher loss of body fat, especially in the belly, thighs and hips. We now know through both empirical and scientific evidence that you can get even better body shaping results when you perform interval training using multi-joint strength training exercises like squats, deadlifts, rows, presses, etc. It’s also a lot more fun! Alternate between 40 seconds of work and 20 seconds of rest for all 5 exercises in the following circuit. Perform this circuit 4 times for a 20-minute total body fat burning workout. It’s important to note that this type of training is just ONE part of a well-rounded workout program. Depending on what your goals are (run a marathon, climb a mountain or just get through your day), it’s best to incorporate 1-2 training sessions into your week. Strength training, Pilates and some cardio are a good addition to HIIT exercise for your weekly program. Find what works for you and just book it in! As with any exercise program – make sure you check with your doctor before you start exercising and always listen to your body and exercise safely. If you are new to MR HIIT make sure you do an adequate warm up and ease into the workout safely to ensure you don’t cause injury. And always perform a cool down and stretch after your workout. 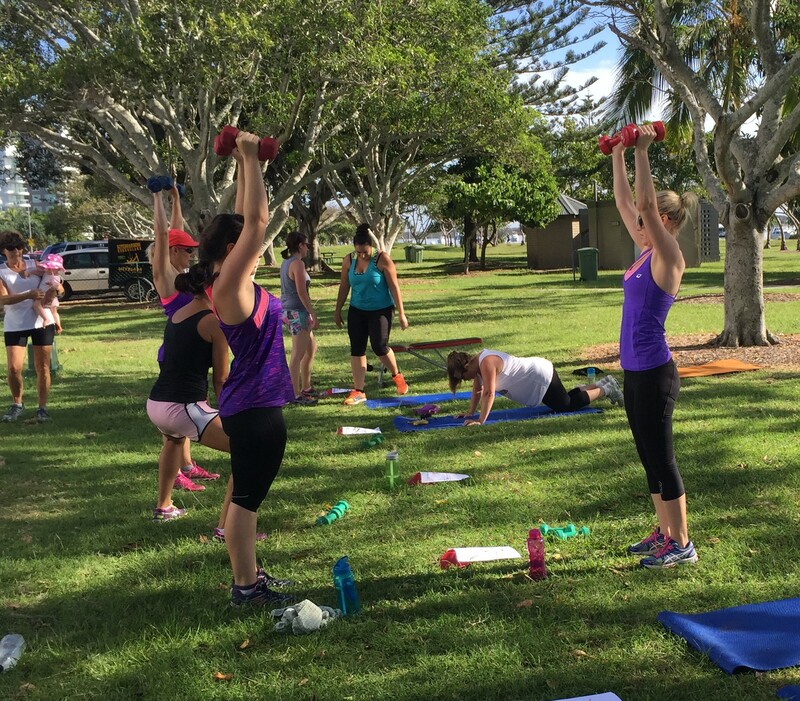 Join our Fit HIIT sessions and let your trainer guide you through the exercises with perfect form and speed. Don’t know if it is for you? HIIT protocols can be confusing and daunting and there is so much info available online about workout zones and fat burning range etc. The best advice is to ask your trainer any questions you might have, go slow at the start and ease your way in. (Mummylicious always offer a no obligation FREE trial to see if it’s for you). Remember, any exercise is better than none. Try it out – you might love it and if you find something you enjoy you’ll be more likely to stick with it. See you at Fit HIIT!